The excitement of this year’s AIP was not only in the exhibition halls of the New International Expo Center but during the exhibition period, Shanghai became the center of the world’s printing and packaging industry, displaying high-end trends and enabling technology exchange. The 7th All in Print China (AIP 2018) was successfully held at Shanghai New International Expo Center from October 24-28, 2018. Zhou Huilin, member of the Standing Committee of the Shanghai Municipal Committee and Minister of Propaganda Department, opened the event by welcoming professionals from the printing industry from around the world on behalf of Shanghai. The opening ceremony was attended by representatives from printing associations and organizations from the United States, Germany, Japan, South Korea, Australia, India, Philippines, Malaysia, Singapore along with representatives from associations in Hong Kong, Macau, and Taiwan Region; representatives of printing authorities and industry associations in various provinces and cities in China. Since its inception in 2003, AIP has witnessed and promoted the transformation and growth of the printing and packaging industry in not just China, but around the world. The scale of the AIP exhibition continues to grow and the scale of this exhibition has been upgraded once again. This year the total exhibition area was 110,000 square meters, which is 34% higher than previous exhibition. 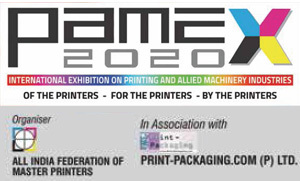 It has once again set a record for the scale of the exhibition, by becoming the world’s largest printing comprehensive exhibition in 2018. 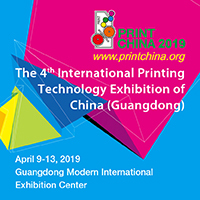 The theme of this year’s exhibition was “Enter the Era of Intelligent Printing,” focusing on the intelligent trend of the printing and packaging industry. A total of 1,030 leading local Chinese and foreign brands joined hands to showcase their innovative products, materials, cutting edge technology and leading solutions to the upstream and downstream supply chain of the printing and packaging industry. The exhibitors came from 17 countries including China, Canada, United Arab Emirates, Germany, India, Iran, Italy, Japan, Korea, Malaysia, Netherlands, Spain, Turkey, United Kingdom, United States, Hong Kong, and Taiwan. Besides, AIP 2018 attracted more than 50 overseas buyer delegations from 22 countries including Australia, Canada, France, Japan, South Korea, Portugal, Russia, India, Philippines, Malaysia and Thailand; as well as more than 100 regional associations and corporate groups from different provinces and cities of China. According to the theme of the exhibition, the floor plan was upgraded to “7+3” mode, including 7 classic theme pavilions: Digital Printing & Pre-press, Comprehensive Printing, Post-press Converting, Packaging Equipment, Label Industry, Ink & Innovative Materials, Comprehensive Packaging; and three new special zones: Flexible packaging Equipment, Corrugated Box Equipment and Printing Equipment. The clear floor plan created a more comprehensive, professional and efficient experience for the visitors. The event attracted a really big crowd on the first day. The two featured theme zones in Hall N2 and E4 were the most visited. The “Intelligent Factory” at Hall N2 was initiated by Corey and supported by AIP. Nine well-known brands such as Corey, Dazu Guanhua, Huayue, Guangming, Precision, Otto, Zhongbo, Wanbang and Yiyin, were the first initiators in the industry who worked together and brought a complete intelligent printing manufacturing production line to the exhibition hall; allowing the audience to have a complete and more intimate experience of the technology and charm of the smart printing factory. The “high quality content” of “Inno Lab” in Hall E4 was a big crowd puller and with a lot of visitors hanging around that area. The “Innovative Products Zone” brought together a large number of award-winning digital printing, flexible packaging, labeling and printing products; representing the highest level of printing technology in China. The “frontier technology zone” showcased the combination of various printed matter, packaging products and AR/VR technology. The 3D printing zone showcased equipment, consumables, finished products, as well as anti-counterfeiting, temperature sensing, photo-sensitive and other functional printing Products. Intelligent Factory “Inno Lab” is the platform to launch the latest innovative technologies and products at AIP. In the Intelligent Manufacturing Launch Conference, 9 high-quality technology releases enthralled the audience. Over the next few days, “Inno Lab” will also bring a number of technical exchanges and conferences including the Global Label Summit Forum. Many well-known brands have chosen AIP to launch their latest products and solutions globally and in China. Bobst unveiled a new world-class die-cutting machine SP106E at AIP 2018, which was a huge success with the audience. For the first time, HP exhibited the new 12,000HDFM of the HP Indigo series in China, using HP Indigo’s leading high-definition imaging technology, which is indeed powerful. Ricoh entertained the visitors with a variety of application scenarios at the booth, which fully demonstrated the powerful color performance of the new machine RICOH Pro C7200X launched in China. UV flat was also unveiled, which can easily print on many special materials including tile, glass and wood. Founder launched a new government official document intelligent printing production system. Brands such as Yao Ke, Dragan, Zhongjing Printing Machine, Yutian Xingye, Zhejiang Rongjian, Yantai Jinbao, Foshan Tianzheng, Beijing Gongxin, Kangfei Adhesive, Ditian, Shanghai Chaohan, Shengshi Jingyuan also launched their latest products, world-class technologies, leading equipment and solutions for the on-site professional visitors, to illuminate the broader development of the Blue Ocean. On October 22nd, the World Printing and Communication Forum Council 2018 was held in Shanghai. On October 23rd, the World Printing and Communication Forum 2018 returned to China and joined hands with the China Printing Forum, which was conducted with very high standards. 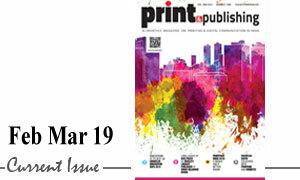 This was a deep confrontation in the global printing industry, bringing together industry experts from China, the United States, the European Union, Japan, India, Australia, etc., to exchange the latest cutting-edge trends and information in the development of the printing industry in various countries. At the same time, China’s outstanding representative institutions and corporate guests, coming from a wide range of professional backgrounds, also shared their valuable experience of enterprise transformation and expansion; bringing to the audience valuable information and an international vision. During the entire exhibition period, there were more than 60 technical exchanges, product launches and other types of activities.